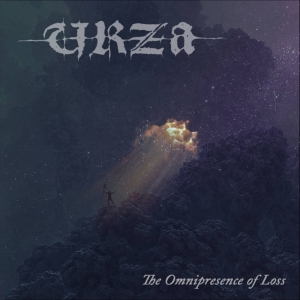 Two of the UK's premier underground Doom/Death bands join forces for a nearly 76-minute split album to fantastic results. My Silent Wake, led by his majesty Ian Arkley and The Drowning, whose 2008 release 'This Bleak Descent' was one of that year's sleeper hits. While both occupying the Death/Doom genre, even if on the fringes, they each have their own distinct instances of light and shade. My Silent Wake taking on the more folk-tinged, epic side and The Drowning taking a more straightforward, depressive approach. Comprised of 4 tracks from each band (including a track from each band covering the other), 'Black Lights & Silent Roads' is a solid, enjoyable listen from beginning to end. 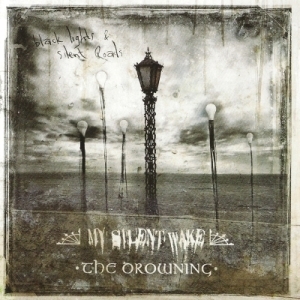 My Silent Wake is up first with it's track, a cover of Attrition's "I Am (Eternity)". It's a strong, dark songs showcasing all that is right with the band. 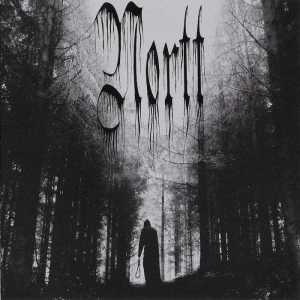 A slow, marching snare (insert funeral analogy here) carries the track into epic darkness, early Paradise Lost style with brilliant growls overlaid with beautiful female vocals. New original song "Blean Endless Winter" has a sort of bouncing, Doom Metal groove at the outset before delving into some Opeth-like grandiose Prog musings. Don't take my name-dropping as any sort of accusation of copying, because My Silent Wake do more than enough to leave their own marks on the listener. 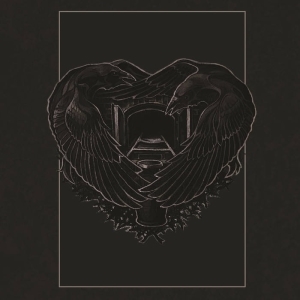 Their mix of sad, dark melodies and crushing heaviness, while not entirely original, is presented in a way that is all their own. Their rendition of The Drowning's "Devoid Of Light" is a softer, acoustic take on the song, complete with wood-block percussion and gypsy-like mandolins. The clean vocals carry a ghostly ambience making for one of the coolest moments on the album. The jewel of My Silent Wake's contributions, as quite possibly the entire album, is the 23-minute "Rebirth", easily the band's more ambitious, progressive track to date. Running the gamut from swirling folk ambience, to grey, misty beauty ala Pink Floyd to pure Doom-laden heaviness, it's probably my favorite track from the band, ever. The Drowning kick things off with "The Doomsday Feire" and it's pure, melodic Doom all the way ala eary versions of Katatonia or Paradise Lost. This is where The Drowning excels, bringing true, pure, early-90s Doom spirit to the album. The combination of crushing heaviness and melodic, reverb-laced guitar melodies is as refreshing as it is familiar. Their second track, "Arc Light", is more of the same and quite tasty at that; slow, swallowed in sadness Doom Metal. "Silent Epiphany", however, finds the band picking up the pace ala Sentenced in a more mid-tempo, energetic break from the rest of the album's melancholy moods while maintaining a depressive vibe. Where My Silent Wake took a heavy track from The Drowning and made it acoustic, The Drowning does the opposite, giving the originally acoustic-laden "A Photograph" a crushing blow of heaviness and power. In doing this, they've given the song a sense of tension and desparation and truly made it their own. I can't say enough about how good this album is. These two bands are, in my opinion, are deserving of so much more attention than they seem to be getting. Fans of any of the bands I mentioned here should find this album highly enjoyable, so I say get it. While you're at it, get 'A Garland Of Tears' from My Silent Wake and 'This Bleak Descent' from The Drowning. You can thank me later.